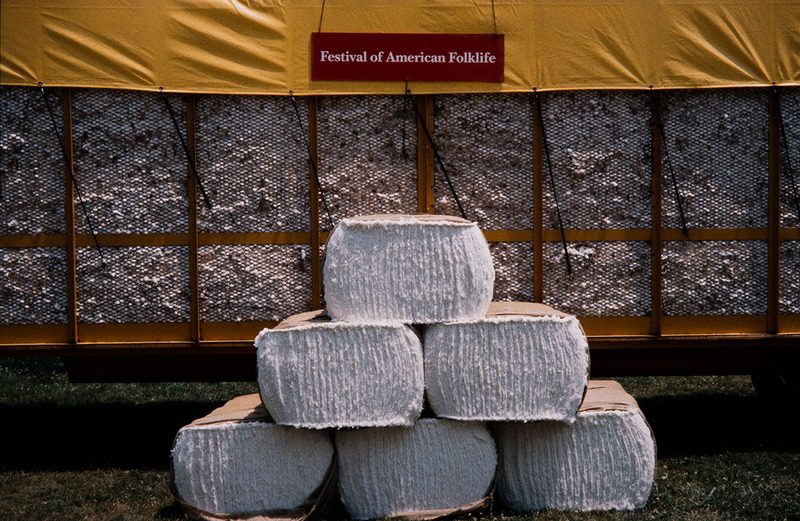 1997 Festival of American Folklife, The Mississippi Delta program (FAF1997_0266). 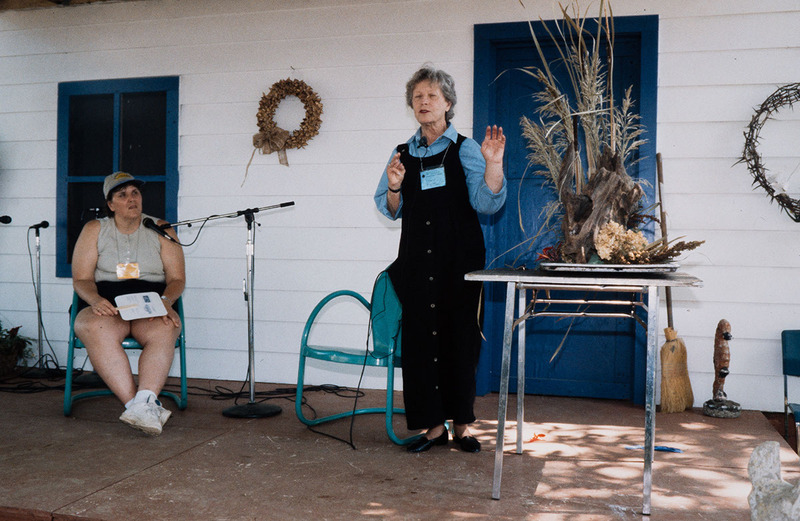 1997 Festival of American Folklife, The Mississippi Delta program (FAF1997_0519). 1997 Festival of American Folklife, The Mississippi Delta program (FAF1997_0721). 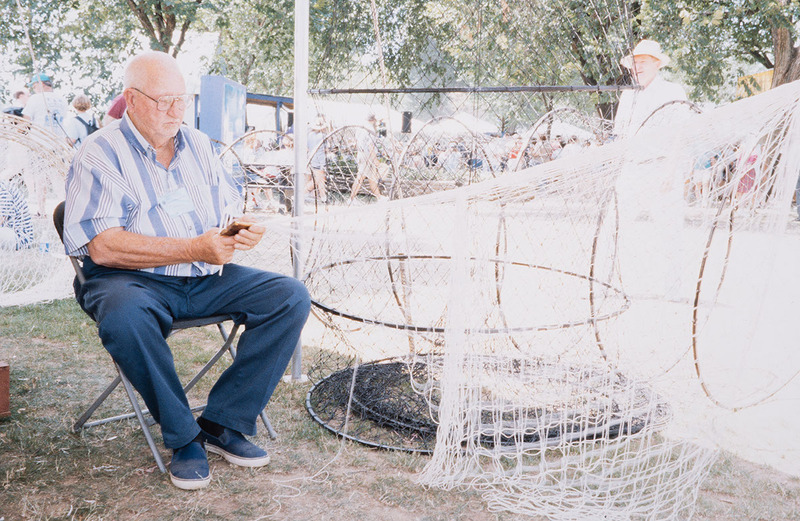 1997 Festival of American Folklife, The Mississippi Delta program (FAF1997_0730). 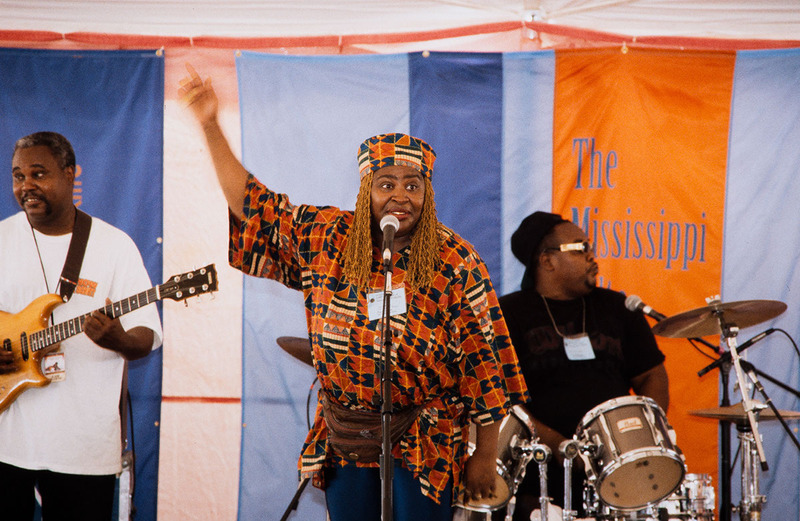 1997 Festival of American Folklife, The Mississippi Delta program (FAF1997_0735). 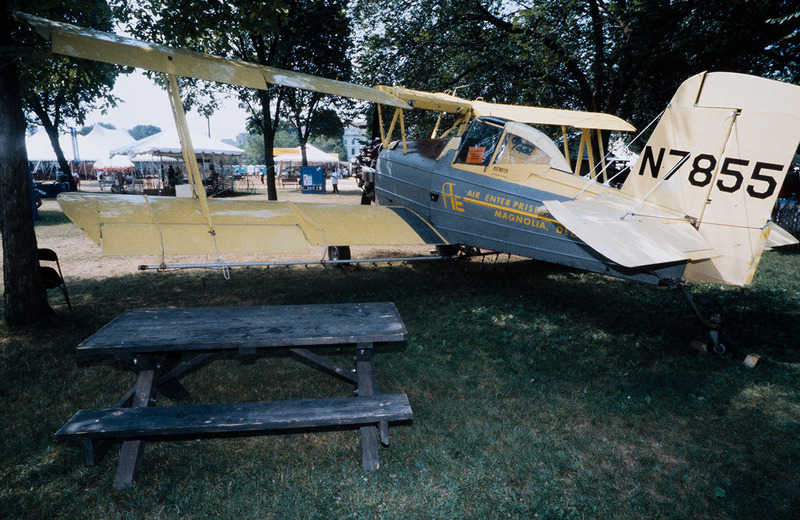 1997 Festival of American Folklife, The Mississippi Delta program (FAF1997_0796). The Mississippi Delta is the area formed by the alluvial flood plain of the lower Mississippi River and incorporating parts of four states, a region distinguished by both geographic and cultural characteristics. From the flat, rich land of west Tennessee through parts of Arkansas, Mississippi, and Louisiana, the entire region owes many of its cultural traditions to the Mississippi River and the many smaller rivers that permeate the area, some with names reflective of the Native Americans who first settled there or other groups who came later. Entire communities, operating with varying codes and customs based on indigenous traditions, have evolved around the region's rivers and bayous: from the commercial fisherfolk, trappers, and towboat workers, whose houses often cluster near major rivers, landings, and levees; to African-American ministers and their congregations, who wade into the waters to baptize believers "the old way"; to the privileged planters' sons, whose membership in the exclusive hunting clubs along the river is bestowed by the accident of birth. The rivers are imbued with personal, local, and regional symbolism and significance. Today's Delta is still largely rural and agricultural, its economy very closely tied to the land. In spite of a century of clearing, cultivating, draining, and land leveling, the region retains its primitive swamps, bayous, and cypress brakes. It was the environmental wonder and agricultural richness of the region that led a diversity of cultural groups to settle there - or to be brought there, against their will, to cultivate its fields. For instance, in the 1890s several Mississippi plantation owners fretted over the declining work force and looked to Italy for a solution in the form of sharecroppers. Arkansas planters similarly brought Chinese to the Delta. Though the largest percentages of residents today are Black African Americans and White Anglo-Saxons, the region also has substantial populations of people of Jewish, Chinese, Lebanese, Syrian, Italian, Greek, and Mexican ancestry. One can observe small Chinese groceries in many Delta towns, the large presence of Italian families and traditions throughout Mississippi and Arkansas, and the wonderful assimilation of ethnic foodways such as Delta tamales, probably brought to the Delta by Mexican farm workers who came to earn a living in the cotton fields. The Mississippi Delta program at the 1997 Festival cast its spotlight not only on the diverse musical traditions that evolved or were invented in the Delta, but also at the occupations associated with the land and water, the crafts and foodways that utilized the region's natural resources, the amusements that provided diversion to Delta residents, and the worshipping practices that gave them solace and strength. The program was curated by a team that included Deborah Boykin, Joyce Jackson, Worth Long, Michael Luster, Maida Owens, Diana Parker, Tom Rankin, Arlene Reiniger, and Susan Roach. Arlene Reiniger also served as Program Coordinator. Support for the program came from the Mississippi Band of Choctaw Indians, the Mississippi Arts Commission, the Rhythm & Blues Foundation, and the Recording Industries Music Performance Trust Funds.